From country chic to urban lofts, barn doors have become a highly sought after addition to any style home. Not only do they add an element of artistic design, but they can be highly functional. Traditional doors take up nine feet of space. When you simply can’t spare that much real estate, and don’t want to deal with the demolition and installation required of pocket doors, consider barn doors; they require just a few simple pieces of hardware to install, serve as the perfect room divider and up the style quotient of any design. Read on to discover the many ways to incorporate this latest trend into your home. Barn doors are perfect for small spaces, and can serve double duty. When opened, they can cover up closet space, and when closed, serve as a room divider. They can set apart a quiet office space or play area for kids, disguise a pantry in a small kitchen, close off a bathroom in tight master suite quarters, or hide a laundry room. Barn doors don’t always have to be used for function. They can simply be used as a design element; as a headboard for example, or to frame a large screen TV in a den or family room. While the name implies that barn doors are rustic wood, today’s styles are limitless. Barn doors can be left natural, painted the same color as the walls to blend in, solid white for a classic look, or a bright accent color to stand out. Modern barn doors might be made of frosted glass with a monogram or family emblem etched in the center. Chalkboard painted barn doors can be charming for dividing a laundry room, playroom or kitchen pantry and serve a dual purpose, providing a place to write quick grocery lists, reminders, or a fun area for doodling. Adding transom-style windows to barn doors will allow natural light to pass through, while still allowing for privacy. The options are endless. Barn doors also serve as a complement to other elements in the room, such as cabinets and countertops. Beyond just the style, the hardware you select can add a great deal to the look and feel of your barn doors. Whether your doors are industrial in design or a have a sleek, modern vibe, you’ll want to balance them with the right hardware. In fact, the same hardware used on cabinets can be used on barn doors. A heavy, masculine wood door can handle strong hardware, whereas modern glass barn doors will look more finished with thin, stainless steel hardware. 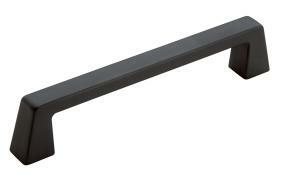 Door pulls are another essential element that will affect not only form, but functionality. A door in the hub of your home, such as a kitchen pantry or playroom will need a pull that can handle a great deal of use without breaking down. Barn doors with the sole purpose of framing an entertainment center, or providing occasional privacy for a home office can be fitted with more delicate pulls. The path to your barn doors can be an equally compelling statement. Choose a floor that complements the style of the barn doors, whether it be rustic, or modern or somewhere in between. A look through the online product catalog can spark some ideas. 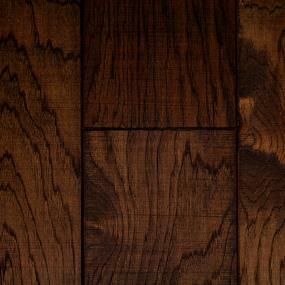 For hardwood, consider a light finish bamboo, a medium finish maple, or a dark finish hickory. Maybe tile is the preferred choice, whether ceramic, porcelain or stone. Luxury vinyl tile can be an appealing choice with its looks of stone or wood. Carpet can make the journey soft on the toes, such as a nice frieze, a comfortable plush, or a eye-popping pattern carpet. Whether you know exactly the style of barn door you’re after, or you’ve just begun thinking about your options, review the inspiration for ideas and add images you like to your myProSource Project Center. Adding barn doors to your home might be very of-the-moment, but because these doors are not only beautiful, but highly functional, they won’t go out of style anytime soon. Choose wisely, and you’ll make an investment in your home that will be with you for many years to come.